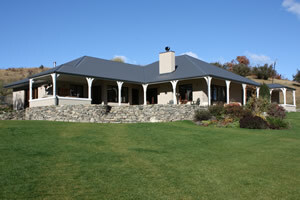 Richard and Annabelle Subtil farm merino sheep and beef on this iconic property and enjoy hosting guests in their recently renovated classic homestead and stream-side stone hut . Omarama, (the Maori term for ‘Place of Light’) has an extremely dry, sunny climate with a unique landscape and is an ideal stopping off point between Christchurch, Mt Cook and the southern resort towns of Wanaka and Queenstown. A ten minute walk from the homestead, the small rural township of Omarama at the foothills of the Southern Alps is known as a centre for world class gliding and soaring. With an abundance of streams, rivers and lakes nearby for flyfishing and watersports, Omarama offers visitors a refreshing change from the more tourist oriented centres. 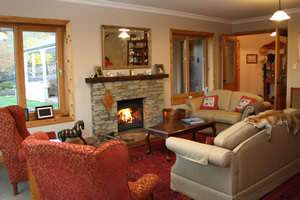 Omarama Station itself has been in the family for three generations giving farmstay guests a unique insight into the traditions of High Country farming life while enjoying the hospitality of the Subtil family.